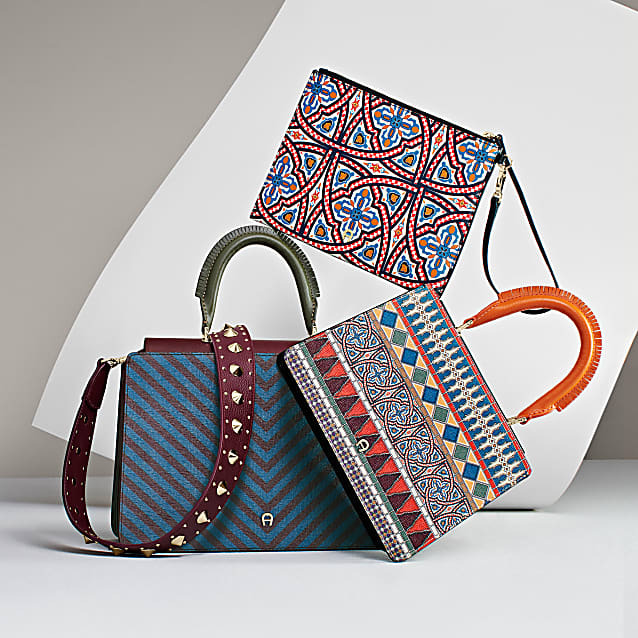 The Genoveva pouch, like many of the leather bags, comes with the Medina pattern created by a diverse arrangement of patterns inspired by Persian carpets and Moroccan tiles. This unique print was printed on cowhide and appears exclusively in the current collection. 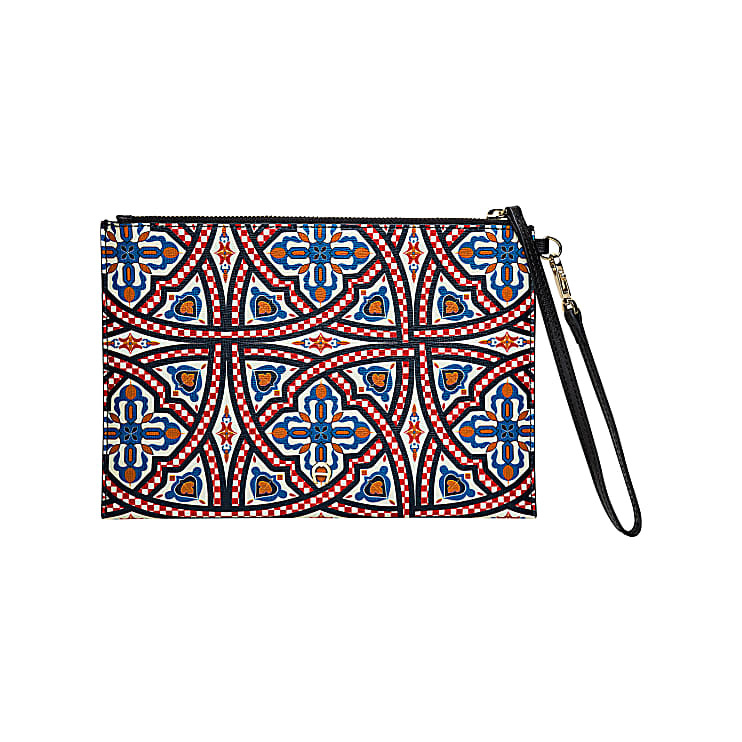 Combine this pouch as a practical accessory in everyday life for cosmetics items and valuables and combine it with the Genoveva handbags with the Medina look.